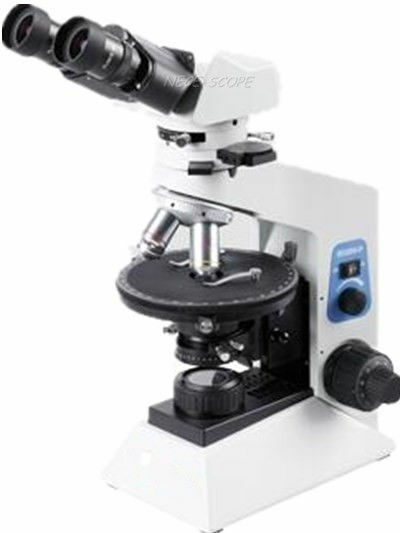 This series microscope is a universal-type polarizing microscope, designed for teaching and conventional using. Plan destressing objectives provide excellent image and high definition. Professional metal rotary stage, particularly craftwork,wear-resistant and resist ing corrode. Smooth rotating, comfortable operation, with locking device, very easy to use. Koehler illuminator systems, wide-range voltage, effectively protect and extend the life of bulbs. Bertrand lens using the handle rotating structure, circular focus, more convenient and simple operation, reliable performance. Widely used in component analysis and identification on on a variety of mineral specimens and sample slices under polarized light. Special metal composing, particularly craftwork,wear-resistant and resisting corrode, with micrometer:0.01mm increments.